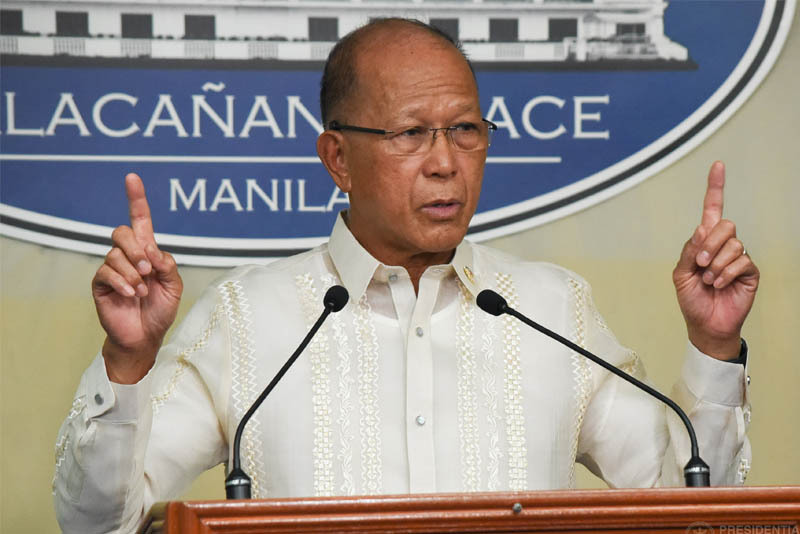 MANILA -- Department of National Defense (DND) Secretary Delfin Lorenzana on Tuesday expressed strong support for the creation of a Department of Disaster Resilience (DDR) that will aid the government in its efforts in building safer, adaptive, and resilient Filipino communities. Lorenzana, who is also National Disaster Risk Reduction and Management Council chair, lauded the House of Representatives and Speaker Gloria Macapagal-Arroyo for immediately heeding the call of President Rodrigo Roa Duterte regarding the measure. The defense chief said the swift action of the lower chamber shows the urgency of this legislative measure. He also expressed his gratitude to Rep. Xavier Jesus D. Romualdo, chair of the House Committee on Government Reorganization, Rep. Amado T. Espino Jr, Chair of the House Committee on National Defense and Security, Rep. Joey S. Salceda and the co-authors for making this initiative a priority. He also thanked the private sector for supporting this measure. Lorenzana said the DDR is urgently needed as the Philippines experienced scores of hazards, both natural and human-induced year after year. Also, the DND chief envisioned the proposed DDR to lead, organize, and manage the national effort to reduce disaster risk, prepare for and respond to disasters, recover and rehabilitate, and build forward better after the occurrence of disasters. With its creation, Lorenzana said the agency will take under its wing necessary offices to enhance systematic integration of functions, implementation of programs, activities, and projects, and resource and information-sharing. "It shall have Disaster Resilience Funds and emergency powers and measures to ensure the proper discharge of its functions, prioritizing the protection and welfare of the people," he added.